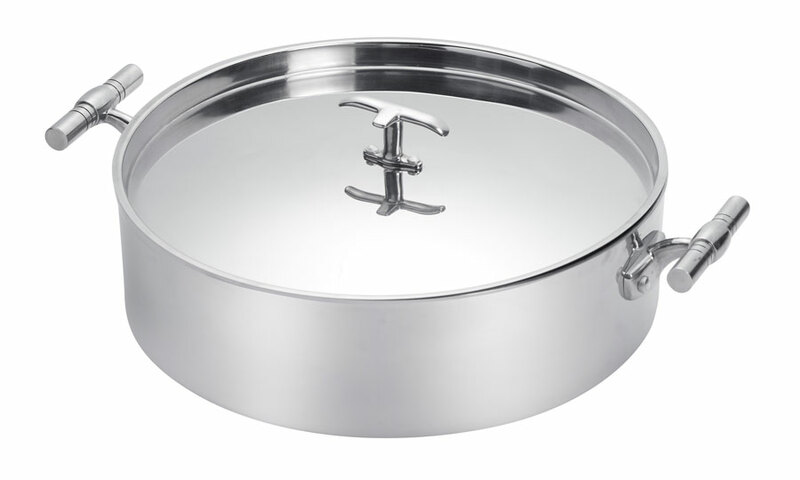 Great for cooking and beautiful enough for serving. Constructed with 3-ply stainless steel our Cook Buffet Induction Pots adapt to all types of cooktops; Sterno, butane electric and induction. It is available in hammered or mirror polished and in two sizes. Try it- You’ll Love it!